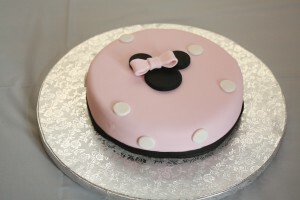 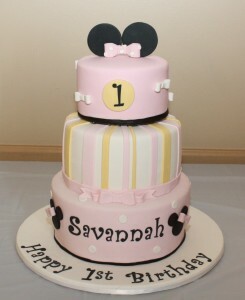 I really enjoyed making this cake! 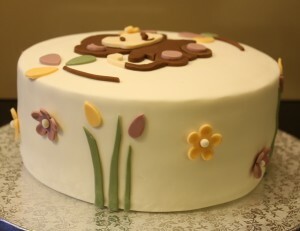 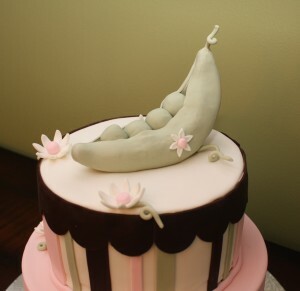 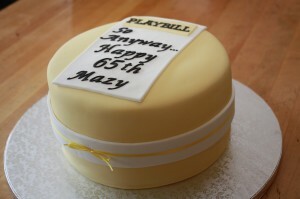 Mazy’s husband ordered this custom cake for his wife’s 65th birthday celebration. 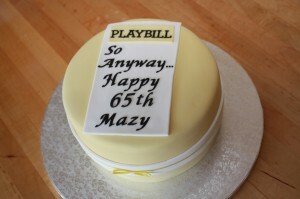 He wrote a play called So Anyway… about their family and wanted a playbill on top of the cake. 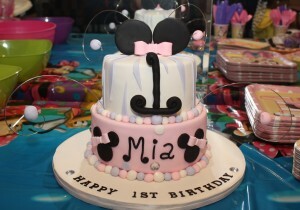 Apparently Mazy makes a mean Red Velvet cake so of course that’s what we made for her with vanilla swiss meringue buttercream and vanilla fondant. 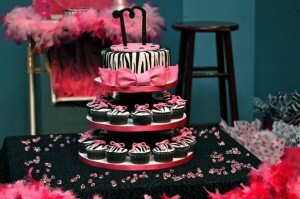 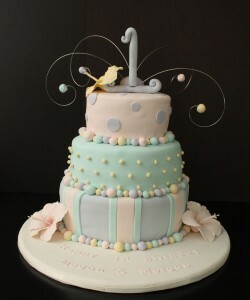 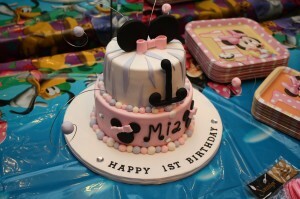 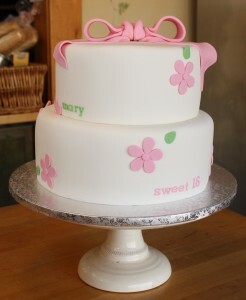 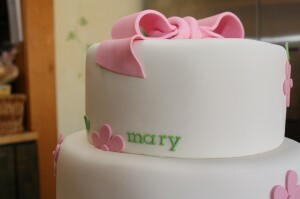 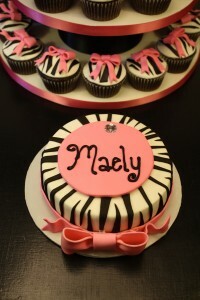 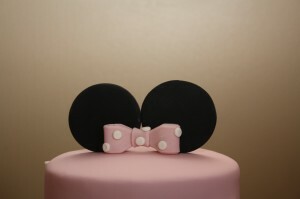 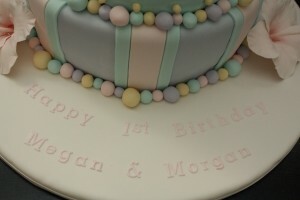 This gorgeous cake and cupcakes was created for a little lady named Maely for her first birthday. 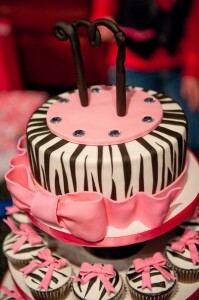 The cake and cupcakes were chocolate with strawberry swiss meringue buttercream. 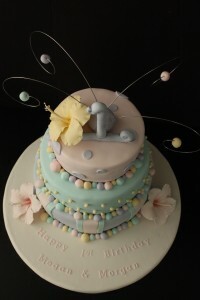 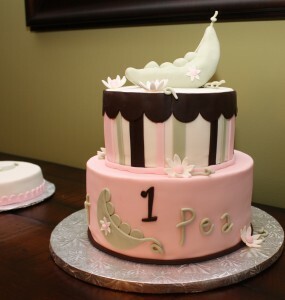 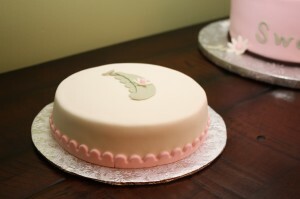 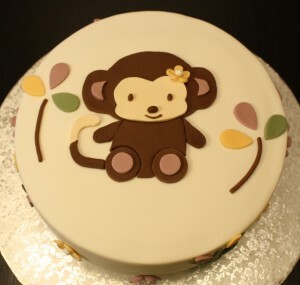 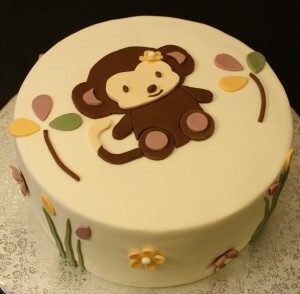 This adorable cake was created for a baby shower. 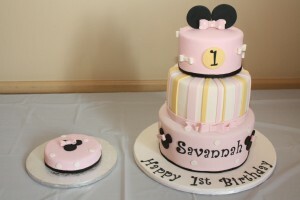 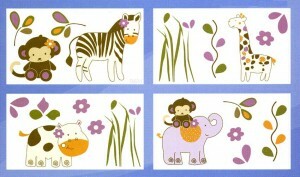 The design was patterned after the baby’s bedroom decor. 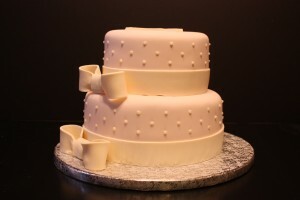 The cake was chocolate cake with chocolate swiss meringue buttercream. 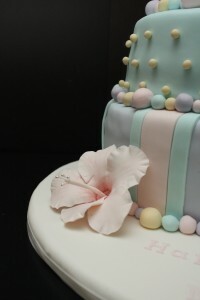 This was the pattern I based the cake off of. 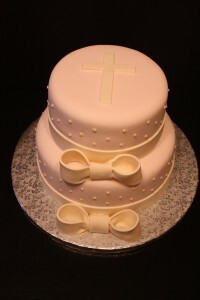 This beautiful cake was created for a baby’s christening celebration. 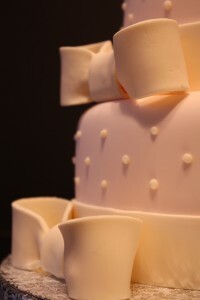 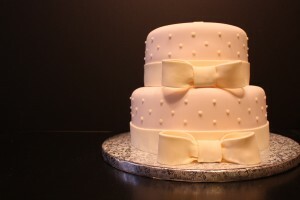 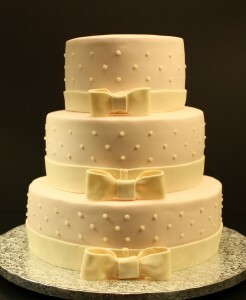 The lighting turned out funny but the cake was very light pink with ivory accents. 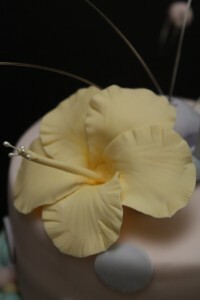 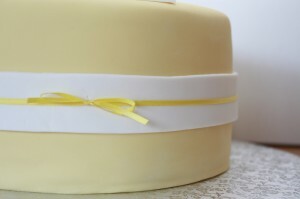 The cake was vanilla with vanilla buttercream.